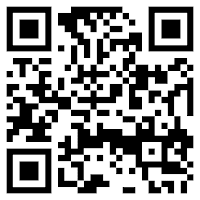 Do you want to become an internet millionaire? I am sure you do want to be one of the so called "dot com moguls" or in my case, a "dot net mogul". I am no exception as well. Ever since I started blogging as a full time profession early this year, I have done quite well and the earnings have eroded the skeptic in me that thought that it was impossible for someone to earn a living via blogging. However, my earnings pale in comparison to what I read and see how much some of the other bloggers are earning. They did have a head start to me. Of course I admit I have been blogging for a long time - since September 2003 to be precise but to gain out of it financially, was never part of it. To me it was simply a hobby, some place where I could rant and share my thoughts. 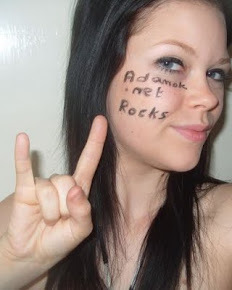 To tell the truth, initially I was a bit biased against people with ads on their blogs. Leaving the comfort of a job late, moving to the UK and staying at home looking after the kids near the end of last year made me reconsider the whole thing. I now thought "Hey! other people are making money from their blogs. Why can't I?" I started out by stalking out the web gurus and all those who have made millions over the net. You can see some of the links on my sidebar. I also went and bought some books- both offline as well as online. After all, we don't need to reinvent the wheel. It is better to go with the tried, trusted and proven methods. At that stage I was still skeptical and I even wanted to make fun of all these so called "web gurus" - the reason I started this blog and also the reason for the funny looking logo. However, after I implemented some of their techniques and the money started trickling in, I changed my mind. Their tips did work. In can now that I earn almost the same amount that I used to earn as a government servant in Malaysia. It's not much considering the exchange rate (£1 = RM 7 approx.) and the standard of living here in the UK but just consider this - I am earning the same amount working at home. I am always on the look out for tips from other web entrepreneurs who have become an internet millionaire. However, along the way I came across a few scams as well. 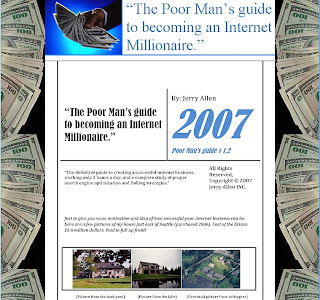 Quite recently I came across Jerry Allen's "The poor man's guide to becoming an internet millionaire. He points out some of the ways people get scammed by people promising to "make you a million dollars" by working at home. His book is a straight forward entrepreneur guide where he shares his personal experiences in Internet marketing, SEO, increasing traffic to your sites, etc. In his book, Jerry discloses his techniques. If you do join and am not satisfied with the program, you can ask for your money back within 56 days of purchase for a full refund. I must warn you that becoming a successful netpreneur does not happen overnight. And it involves a lot of hard work and social networking skills. However, we don't have to reinvent the wheel. Just read what other successful web entrepreneurs have gone through and we can learn from their experiences. Preach on bortha! You can't make it overnight. I post inspirational things like this on Mondays, check my blog to see what I have in store for this week! Being an internet entrepreneur is one of the best things that has ever happened to me. Who wants to do a 9-5 when you can work from home and make your own schedule?